Google said it has solved key problems with both augmented reality and its cousin, virtual reality, with a new standalone VR headset and a way to navigate indoors using visual reference points as a sort of indoor GPS, called VPS. 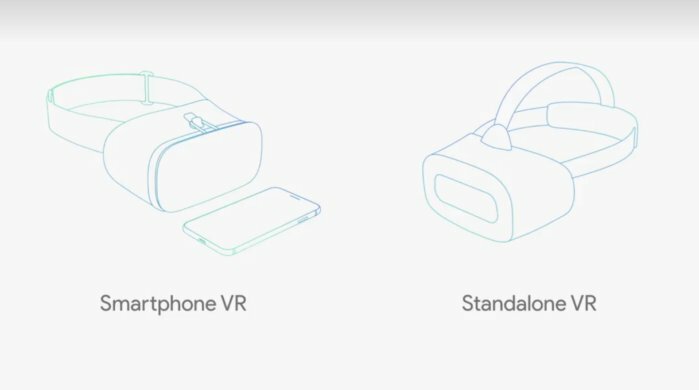 Google said it was working with both HTC and Lenovo to deliver the first standalone VR devices later this year. Meanwhile, Google said consumers should expect the Asus Zenfone AR, a second-generation phone that uses Google’s Project Tango technology, to go on sale this summer. Most manufacturers now see virtual reality and augmented reality as a spectrum of capabilities, and the lines between the two are beginning to blur even as the devices remain separate. One of the big challenges, however, has been to give virtual reality users, whose vision is occluded by a headset that’s physically tethered to a PC, some freedom of movement. Clay Bavor, Google’s vice president of virtual reality, claimed the new Standalone VR devices would drastically improve the current-generation experience (though it’s still not clear how). Google plans to help develop standalone VR with Qualcomm, Lenovo, and HTC. Bavor claimed the Standalone VR devices had displays and other components optimized for virtual reality activity. The devices will also use what Bavor called “precise tracking.” This is apparently a form of the inside-out tracking used by Microsoft’s HoloLens, which does not depend on external sensors to position the headset in the real world. What’s unclear is whether these standalone VR devices will be self-contained, like the HoloLens, processing everything on the device. Both Intel and AMD have talked about a future where the PC remains the rendering engine, communicating data via high-throughput, short-range wireless link. While Google’s approach eliminates the PC, it’s not clear whether the Google cloud will be tapped for the same purpose—Google simply didn’t say. If a standalone VR device offers some degree of movement, augmented reality is considered to be a truly mobile technology. Google developed Google Glass, an augmented-reality headset, then gave it up in favor of mobile phones. Its next game-changing technology in AR, it hopes, will be what its calls the Visual Positioning Service, or VPS. Google's VPS uses visual points to establish location indoors. Like GPS, VPS is a mapping technology. GPS uses satellites to position a phone outside, helping it navigate to the mall. Inside the mall, though, mobile devices have a far tougher time orienting themselves, relying on anything from Bluetooth beacons to simply guessing where the device is. VPS uses a series of visual points—the end of an aisle, a light, objects on shelves—to establish a lock on where the user is. It’s a simple proposition: Once you’re in a store or a museum, you might want to know the location of the potato chips, or the paint department, or the Lincoln exhibit. By intelligently using the phone’s camera to “see” your location, VPS promises to guide you to your destination. When VPS will roll out, though, is anyone’s guess. 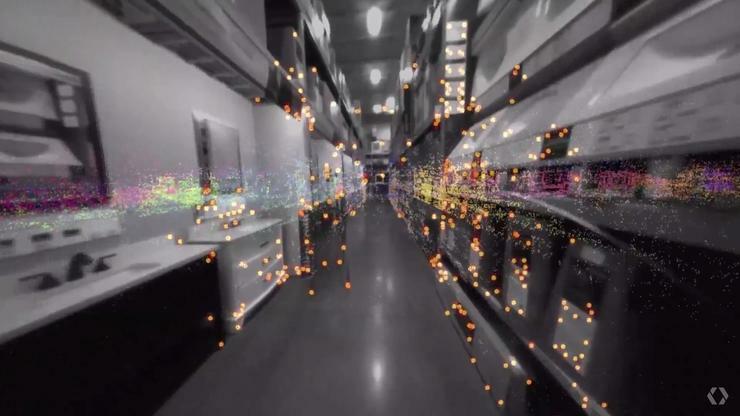 It’s also not clear whether Google will have to spend time mapping the interior of stores, as it has already done for big chunks of our exterior world. The new Zenfone AR phone will roll out this summer. Finally, Google showed off a new AR capability for Expeditions, its geographic app for schools. Expeditions already facilitates trips through the real world, and augmented reality will add yet another dimension. 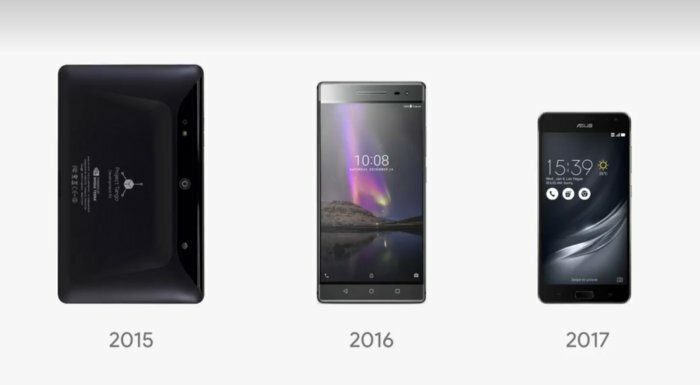 It will roll out later this year, Google said.